The care of the person with a thyroid disorder in today’s healthcare environment is inefficient at best and is worthy of malpractice at its worst. Let me explain. The vast majority of thyroid problems are underproduction of thyroid hormones by the thyroid gland. It is estimated that approximately 1 in 10 people you meet has a low functioning thyroid gland which is called hypothyroidism. The symptoms of a low thyroid output can be global as the thyroid hormones determine the basal metabolic rate of all cells in the body. What does that mean? It means that the rate at which your cells respire, take in nutrients, pump out waste products is determined by how much thyroid hormones you have any one time in your body. Low thyroid hormone amount in your bloodstream = slowed down ability to function. This affects everything: speed of digestion, speed of cognition, speed of recovery, etc, etc. This is why hypothyroidism can have symptoms like brain fog, depression, constipation, unexplained weight gain and coldness. There are 2 predominant models in today’s healthcare environment: medical and alternative. In the medical model, no thought is given to why a person’s thyroid is not functioning well, the only treatment is to give thyroid replacement hormones until the message from the brain to the thyroid which is called thyroid stimulation hormone or TSH, is normalized usually at a value of about 2-3. The alternative model for hypothyroidism is not about thyroid hormone replacement, it is instead fixated on iodine and tyrosine supplementation to allow the thyroid to make more thyroid hormones. Additionally, thyroid glandular and co factors are added to insure no nutrient deficiency exists for thyroid production. Here is the problem. Over 80% of all hypothyroid patients do not have a nutrient deficiency of iodine or tyrosine as their mechanism for low thyroid production. And, just giving thyroid hormones does nothing to counteract the basic mechanism that is in play for about 80% of all hypothyroid patients. What is the mechanism? 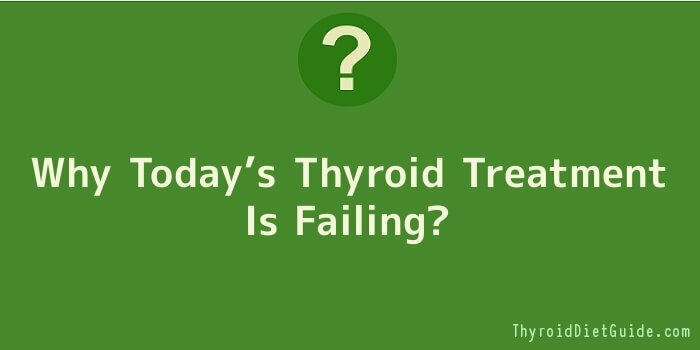 It is an auto immune attack by your own immune system on your thyroid! This means that a gene in your body got switched on that tells your immune system to tag the thyroid gland for destruction. When the immune system ramps up for an auto immune attack, certain cell messengers called “cytokines” are released. These cell proteins or” cytokines” completely interfere with many aspects of thyroid physiology. So, let’s see how this information fits into the alternative and medical model. The alternative model will try to get the thyroid to make more hormones by using nutrient combinations. The medical model will not care about the mechanism, just replacement hormones. It is known that if you introduce iodine wholesale into a community, 2 things happen: goitres go down and auto immune thyroids go up. So, iodine supplementation in the alternative model may precipitate an autoimmune disease of your thyroid! Or, fire up an auto immunity that was already present. This is definitely not the intended result. In addition, if the mechanism for the low thyroid is autoimmune, giving iodine does not do anything to dampen the levels of cytokines in the body. In the medical model, since the thyroid gland is being destroyed by the immune attack, thyroid hormones are prescribed. And while this may help a bit in the short term, it doesn’t address the way the thyroid hormones are interfered with by the autoimmune messengers called cytokines. Therefore, you can have a person whose thyroid blood test looks normal but are experiencing many of the symptoms of a low thyroid person because the expression of the thyroid hormones is compromised by cytokines. Neither approaches come close to helping the person resolve the symptoms associated with hypothyroidism. Here is what does help. Dampen the autoimmunity! When you reduce the auto immune expression, you dampen the amount of cytokines, you improve thyroid physiology. It’s that simple. Or, at least in concept it is simple. The real work in all of this, for me is to figure out the person’s autoimmune triggers, and discover which sides of their T helper system to support. And if person needs thyroid hormone replacement, so be it. By the way one of the most profound triggers for flaring up autoimmunity is eating gluten and all of the other foods that cross react with it. This approach has a profound effect on the quality of a hypothyroid person’s life. Now, they have a way to decrease brain fog and weight, increase energy and motivation, have normal temperature, skin, hair and digestion. Here is the final kicker: If a person had antibodies to the thyroid, there is over a 50% chance of them demonstrating antibodies to other tissues. These tissues can include nerve (MS), organs (lupus), joints (rheumatoid arthritis) and even brain tissue. Even hormones themselves can have an antibody reaction. If the immune system flares up to tag the thyroid for destruction, what is happening to these other antibodies? You’re right. They cause their own destruction of those tissues. So, the key to most hypothyroid patients (about 80%) is to dampen their autoimmunity, not just give thyroid replacement hormones or a single nutrient to resolve their symptoms.